When a charming polar bear cub climbs into bed one night, she asks her Mama a very important question--one that little "human cubs" often wonder about, too: "Where did I come from?" 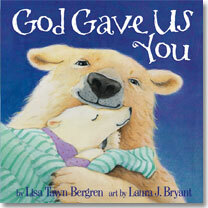 As Mama bear tucks her youngest cub under the quilts, she gently, tenderly, and reassuringly communicates the message loving parents everywhere (bears and non-bears alike) want their little ones to hear: "We wanted you very, very much, and we are so very glad because--"God gave us you." 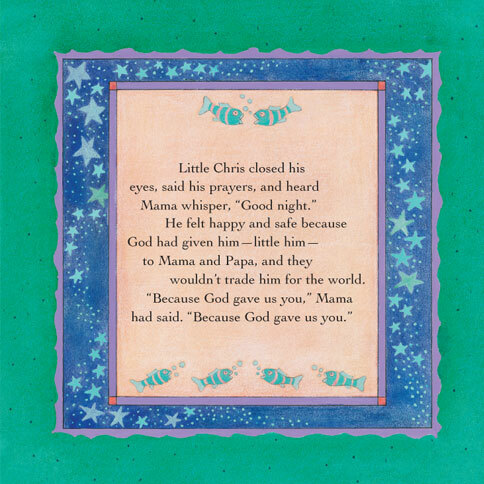 Perfect for bedtime, naptime, storytime or anytime, God Gave Us You provides a valuable opportunity to build children's self-esteem every day and assure each one that he or she truly is a welcomed, precious, and treasured gift from the Lord.